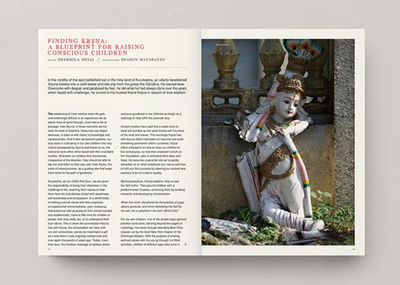 Certified teacher, Hamish Hendry, is the publisher of Pushpam, a uniquely extraordinary publication that explores the subtle nuances of the practice beyond asana. 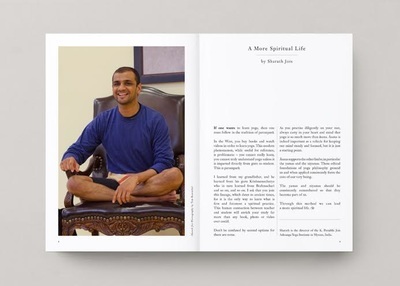 Ashtanga Parampara highly recommends this publication. For additional information on Pushpam, click here. 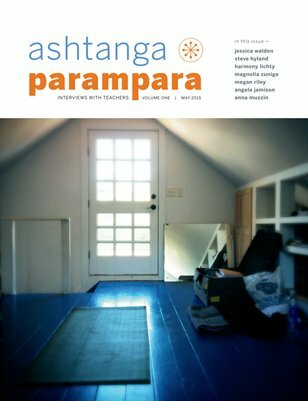 Thank you to Laura Shaw Feit for offering her tremendous graphic design skills and spearheading the digital version (volume 1) of the Ashtanga: Parampara interviews. Her efforts resulted in a lovely publication for all to enjoy. A special thank you to Laura's husband, Richard, and Angie Jamison for painstakingly editing each section of the digital volume. Please note that the digital copy is free. Readers may purchase a hard-copy. No teacher nor Ashtanga: Parampara receives monetary compensation from any copy sold. The cost covers the printing and shipping from MagCloud.